Ideal for narrower lots, this charming cottage home exudes striking exterior elements. When walking through the front door, the foyer with built-in seat greets visitors. The elegant dining room is adjacent and is accented by a tray ceiling. Completely open, the kitchen flows directly into the great room. This seamless transition enables everyone to be a part of the conversation. Side-by-side pantries create great storage space and the kitchen's large island doubles as a serving bar on one side. A large utility room is just off the garage, while the secondary bedrooms are off to the side of the home. The master bedroom is in the rear of the home for complete privacy. Accessing the large screen porch, the master bedroom features a cathedral ceiling, large walk-in closet and pampering master bath. This home's truly spacious area, however, is the bonus room upstairs at over 600 square feet! 1st Floor: 2154 Sq. Ft. 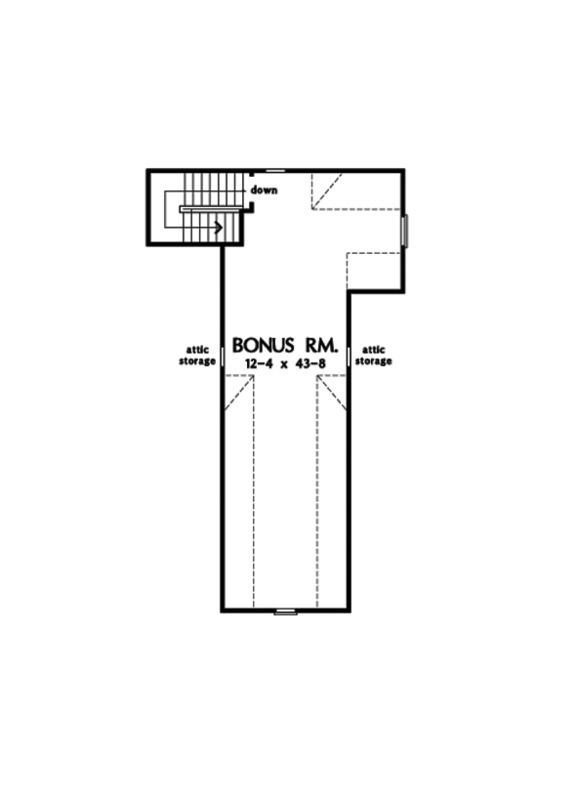 Bonus Room: 626 Sq. 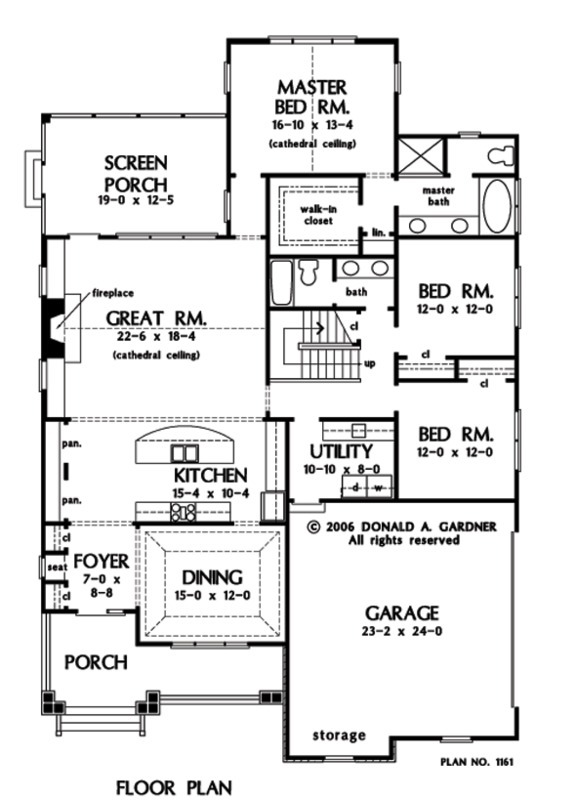 Ft.
House Dimensions: 48' 10" x 73' 10"
Great Room: 22' 6" x 18' 4"
Master Bedroom: 16' 10" x 13' 4"
Bonus Room : 12' 4" x 43' 8" x 8' 0"
Dining Room (Tray): 15' 0" x 12' 0" x 11' 0"
Foyer : 7' 0" x 8' 8" x 9' 0"
Garage : 23' 2" x 24' 0" x 0' 0"
Garage Storage Bay : 10' 4" x 2' 0" x 0' 0"
Great Room (Cathedral): 22' 6" x 18' 4" x 17' 0"
Kitchen : 15' 4" x 10' 4" x 9' 0"
Master Bedroom (Cathedral): 16' 10" x 13' 4" x 18' 0"
Porch - Front : 24' 9" x 6' 0" x 9' 6"
Porch - Screen : 19' 0" x 12' 6" x 9' 6"
Utility Room : 10' 10" x 8' 0" x 9' 0"